The south of Rotterdam is an unknown city that has been serving the north for many years. 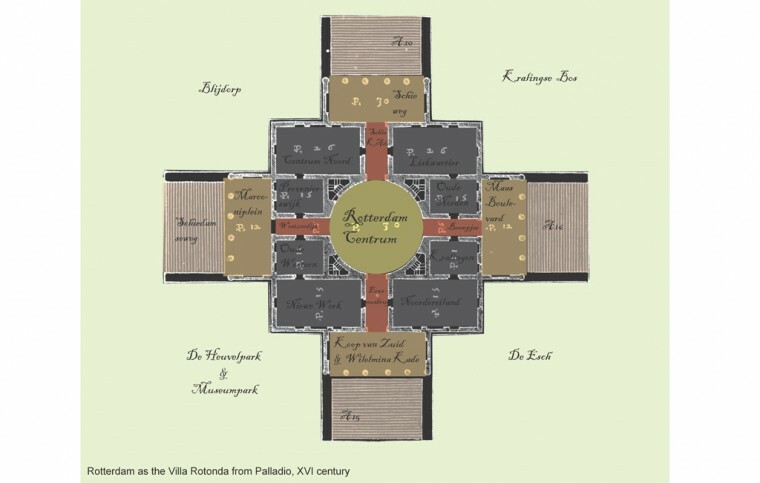 However, times are changing and the south is getting on an even footing with the north in many ways and even overtaking it in the long Rotterdam tradition as a city that dares and experiments in architecture and urban planning. 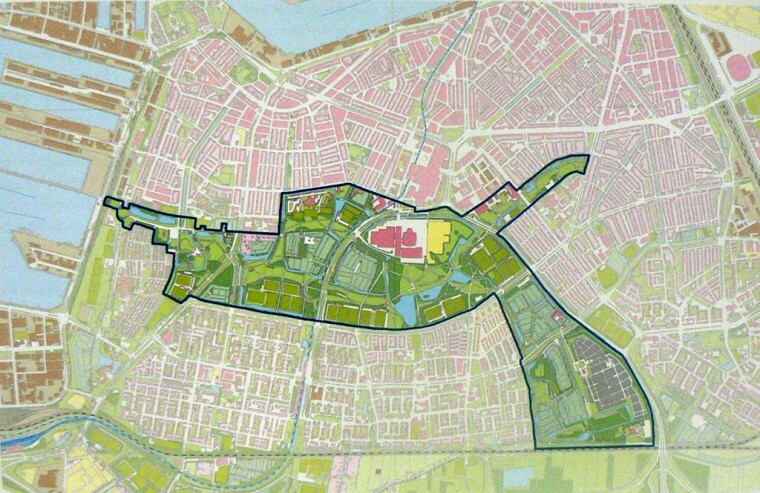 The study showed how Rotterdam Zuid might be analyzed and proposed strategies to implement the potential of Rotterdam as a whole. ↑image above: Each of the major groups of foreigners dominates certain areas in the city and communities get established. 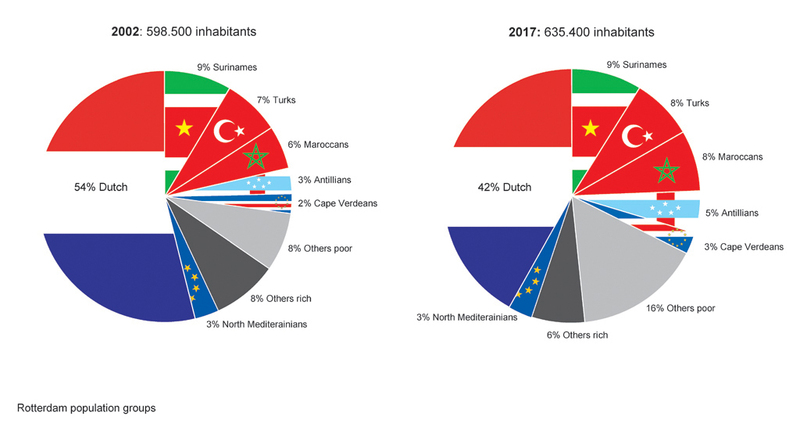 Rotterdam is now already known for its multicultural society yet future predictions forecast an eve more diverse population. Thus one can conclude that in the future Rotterdam will be largely inhabitant by a non-Dutch and poor population. 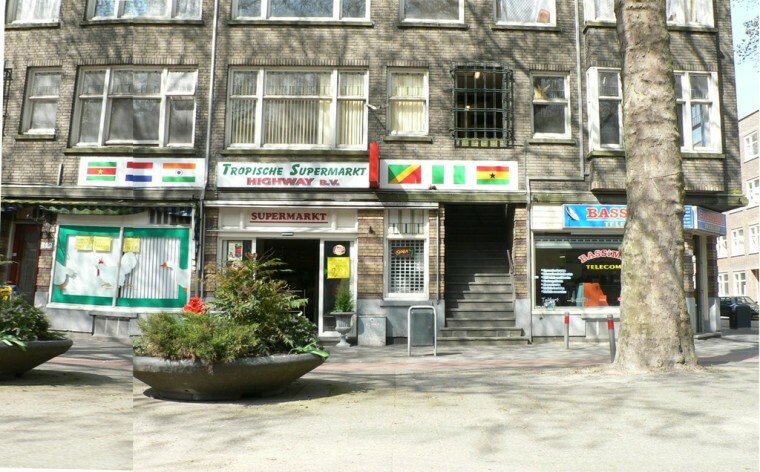 The same or even more qualities can be found in Zuid; the only difference is their geographical position. The arrogance of the north went so far that it penetrated deep into the south only to claim everything of interest from ground to buildings and even the skyline from Zuid. 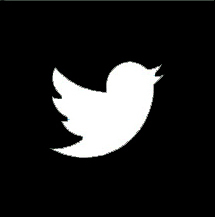 But things are changing. The one sides view on the south is loosening up and signs are emerging that promises equality for both sides. “Things are changing for Zuid”. The new signs emerge equal for both sides. 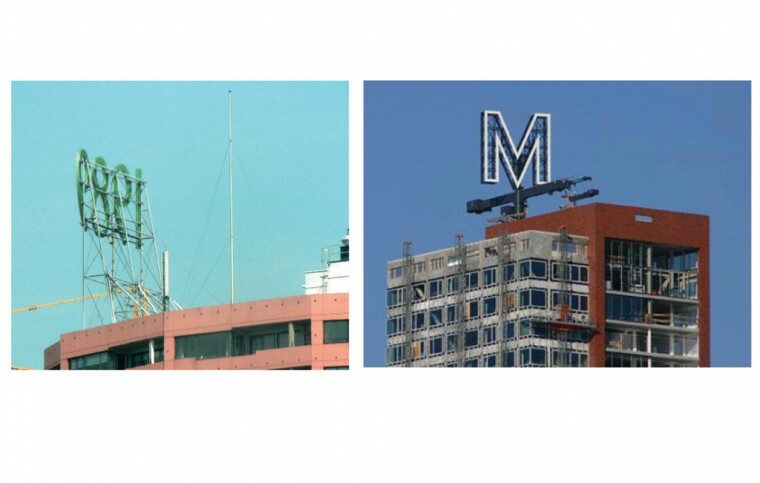 Right: rotating “M” on the Montevideo building on the Wihelminapier. 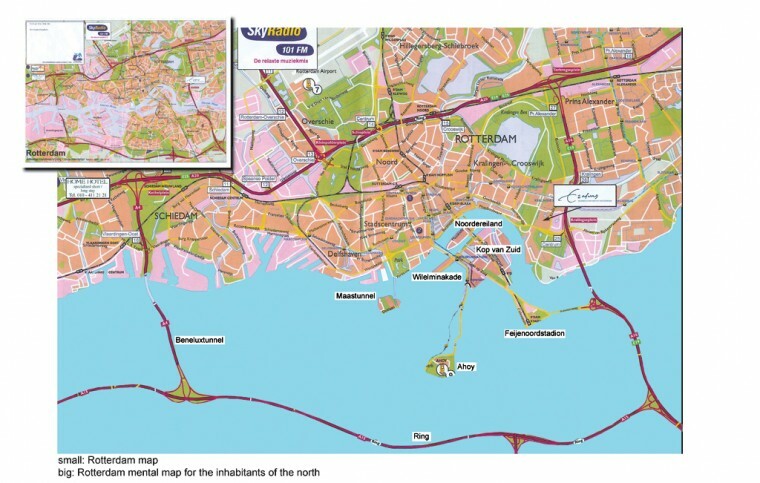 By bunding the investment and energy in this central zone, all districs of Zuid would profit and this independent move of zuid would infuse a positive energy to its anhabitants. Together with the previous mentioned ideas Zuid has the potentials to be Rotterdam’s bright future. 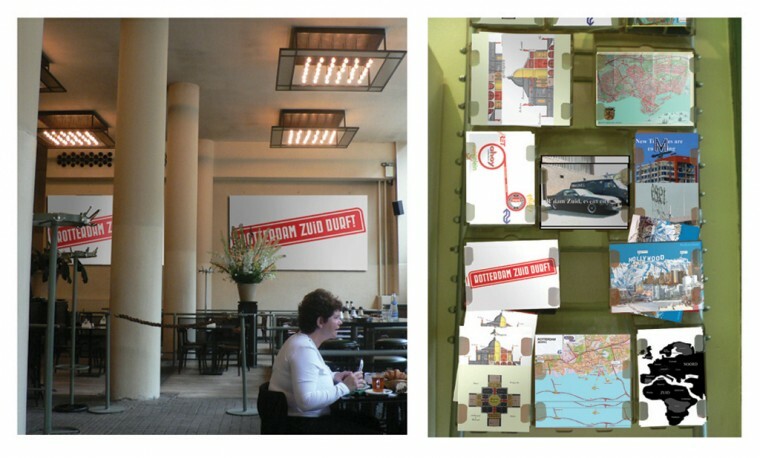 Serie of free postcards and exhibitions in Café Dudok, Witte de Withstraat…etc, promoting Zuid in North. 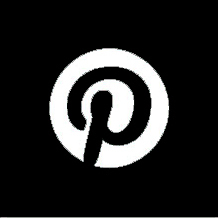 This alleged bad connection is based on misinterpretation. 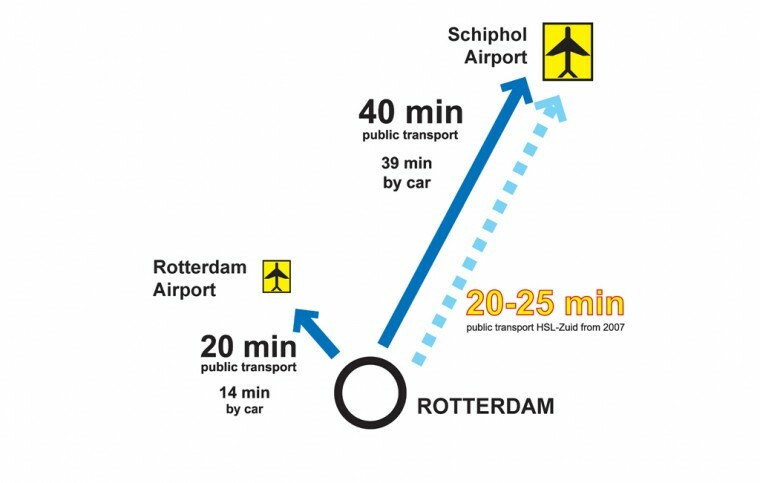 Rotterdam in fact is served by two airports: Zestienhoven and Schiphol! Instead of a gun-shaped empty core Zuid deserves to have its own vivid center. Center Zuid could emerge between the two main poles: Ahoy and Kuip. 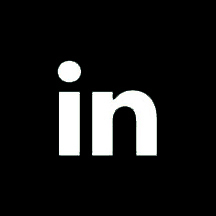 Both are designed to be conveniently accessed by public transport and car, providing more than 3000 “free”parking lots right in the center. 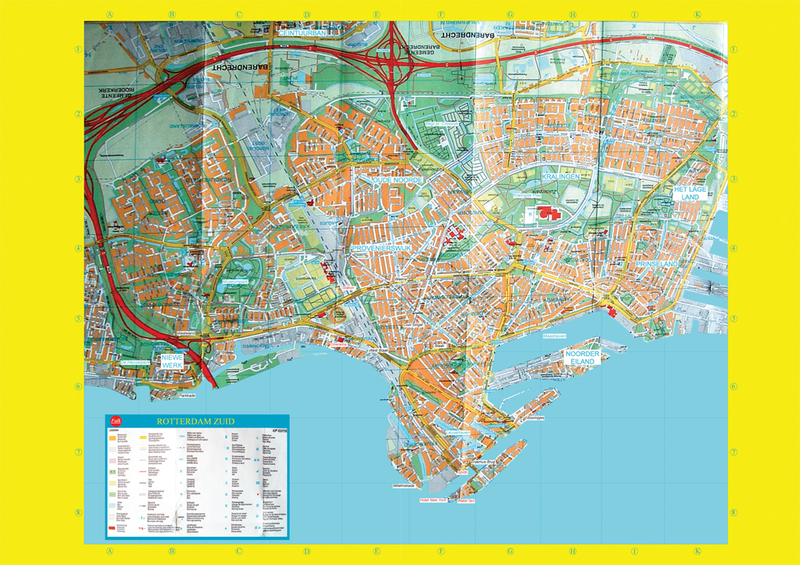 The following pages should give an impression how Rotterdam and more specifically, Rotterdam Zuid could be studied and analyzed. At the end of this investigation some rough ideas of how to deal with the south of Rotterdam are shown. 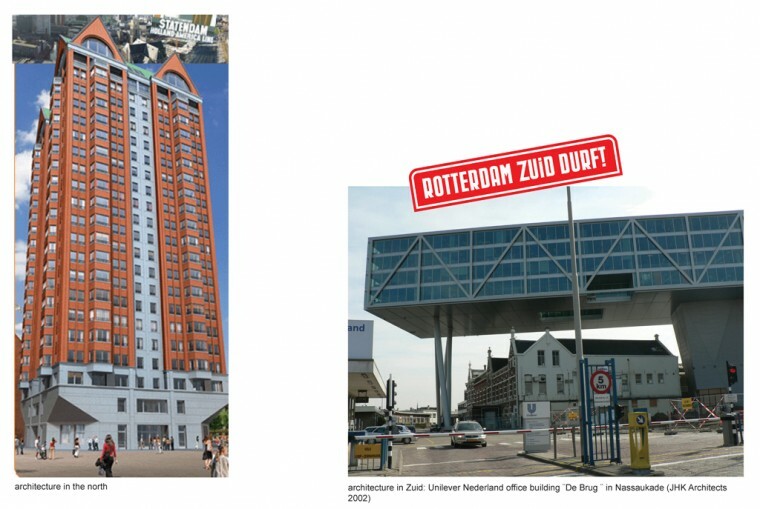 While most of the architectural highlights are situated in the north of Rotterdam, Zuid wins over with size. 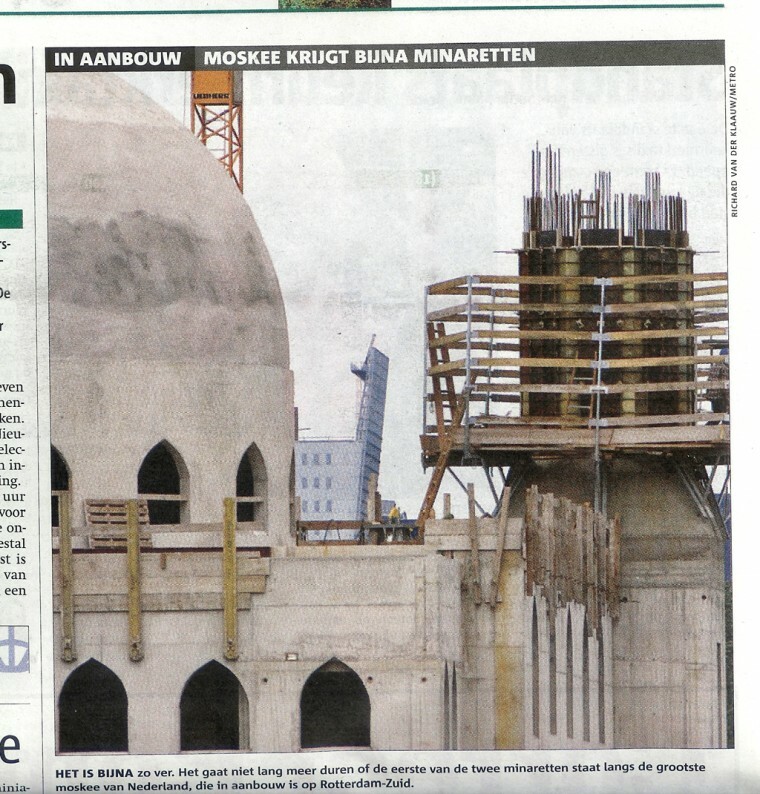 More space and more freedom allow buildings that are unique within Europe – like the Essalam Mosque, currently under construction. 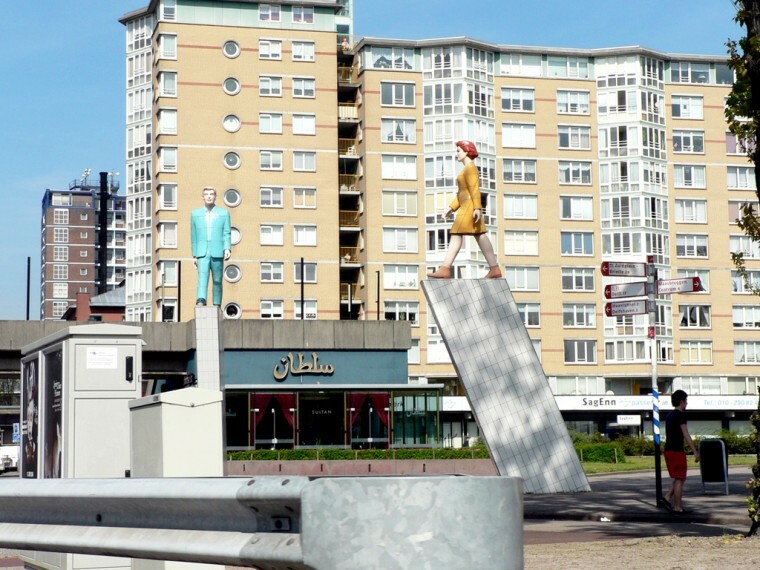 Rotterdam Zuid could be the first part of the city with a bilingual (Dutch / English) character. Signs, advertisements, menus in restaurants, public transport, etc. 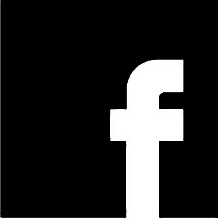 will be explained in both languages. While the north is more and more longing back to the good old times, Zuid remains the place where fresh ideas can be realized and becomes the cities architectural hotspot. These communities started out to serve each other with products from the home land and created a carpet of service facilities that now cover the whole city. 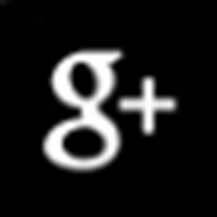 The more they grow the less specific these facilities get and the more diverse and international their clientele becomes. 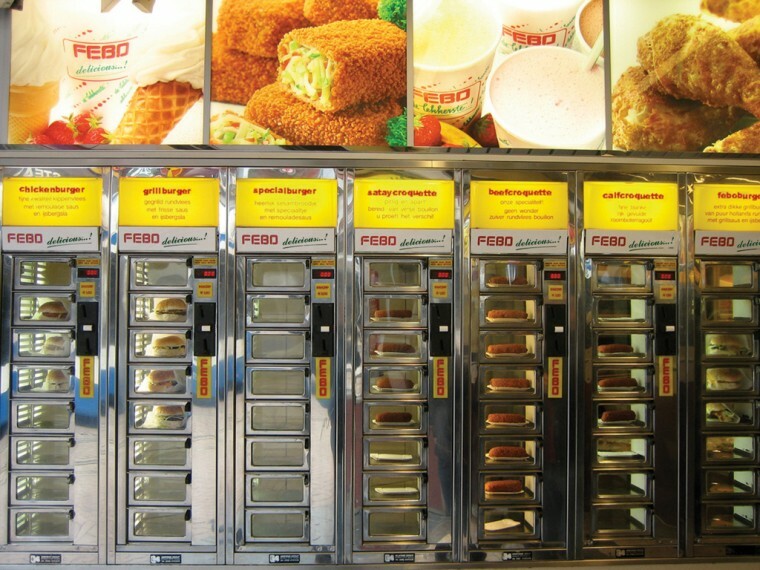 These facilities appear out of individual initiatives and the city of Rotterdam does not have to do a lot to it. The way how we would imagine Rotterdam is an even distributed, coherent and well organized totality of individual districts. Yet the reality is that what we imagine counts only for not even half of the city; Rotterdam Zuid in terms of surface the much bigger part of Rotterdam is largely neglected. The perception of what belongs to the city did not change a lot since the last 150 years. Programme: Analysis and strategies to implement the potentiality of Rotterdam as a whole, focusing in the potentials of Rotterdam Zuid.